J has been very protective of me this week. He does not like it when I am not in his sight, and has started dragging his bed with him as he follows me around the house. When I sit still he puts his head on my lap, as if he is listening to Thing 3. I now only fit into Jogging bottoms, or PJ. My legs are getting more and more swollen and my knees are around 4 times their original size. Bump has also dropped which means my tops also no longer fit and my coat will not fasten, but at this point it seems very little point to shop for more maternity clothes. Thing 3 seems to be getting more active, or I am just able to feel more of their movements. 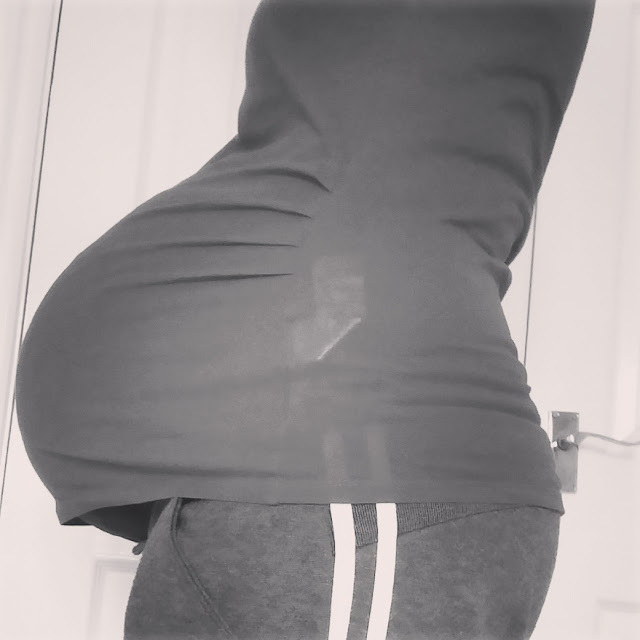 Sitting for too long makes my legs go numb due to the size of the bump and I also find standing for long periods painful. I am getting a lot of lower back pain recently, and more frequent Braxton Hicks. It seems scary to think that the most I have left is 4 weeks. As labour draws closer I keep having flash backs to my previous labours which is making me nervous. I am starting to get scared which is not a good thing. I am doing the best I can to put myself in a more positive mindset. The girls seem to have ramped up their excitement this week, as in their heads baby is coming in March. They have worked out it is March next week and so to them baby is coming next week. I am starting to wonder myself when baby will arrive. My eldest arrived at 39 weeks and my youngest a day late, so it really could be any day. 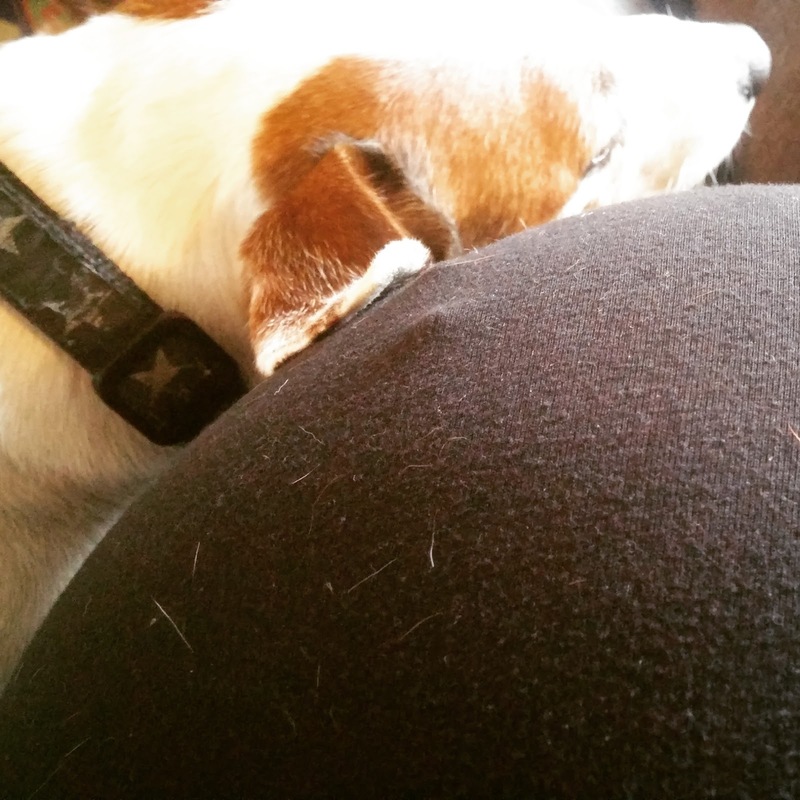 I would like to do another bump update, as I am not sure I am quite ready just yet! Ah it's getting close then! So cute that you dog follows you around too :) Good luck!